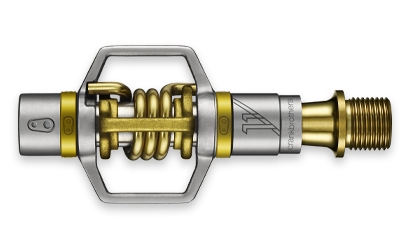 The Egg Beater 11 is Crank Brother’s lightest pedal thanks to 4 main parts are made of titanium. As with all Egg Beater pedals, the Egg Beater 11 is fully rebuildable and simple to maintain. Weighs 174 grams per pair. Has a max rider weight of 200 lbs (90kg). The included pair of AllAccess cleats fit the SPD bolt pattern, set of shims provided with all pedals.